also, at least in the case of hockey, there is *some* true local connection to your home team even though it consists of mostly foreign players in the expectations you have for your team. I.e. the Red Wings have made the playoffs for the last 25 years straight because we citizens spend (ridiculous amounts) of our money on making sure they can get good players. There’s a reason why the Florida Panthers don’t have the same record (it’s because no one cares about them:) Tickets, pizza, jerseys, etc. all make a difference in the quality of players your team can afford. Some teams even go out of business because they’re not supported. Even further, there literally are some players from Michigan on the Det. Red Wings. They were “homegrown” recruits that came up in our little leagues, Detroit’s Grand Rapids “farm team” and local university (my alma mater.) and us fans spend money on tickets for those teams as well. Even further further (now i’m really rambling) the owner of the Grand Rapids team pretty much has rebuilt the city of Grand Rapids so there are tons of personal and business relationships that are developed and stabilized with the help of sports. but mostly, yeah, i think it just taps in to everyone’s competitive, nativist, tribal spirit. Anecdote only: While I was following the uprising in Egypt (Arab Spring) there was more than one event revolving around professional soccer (they call it football). One was particularly bad, rioting broke out, people were killed. Being like you and having zero interest sports I was unsure how to interpret it. There was a lot of commentary on it, because of the violence. There are fans called “Ultras” who much more than just fans watching it on TV. They sound like crazed lunatics, utterly devoted to their teams. Puzzled, I looked further into “Ultras”. Turns out they originated in Europe, but don’t usually become violent enough to make the news. Cricket is also popular in former British colonial locations. It’s huge in Pakistan and India. India now dominates the sport, I read (I know very little else about it). 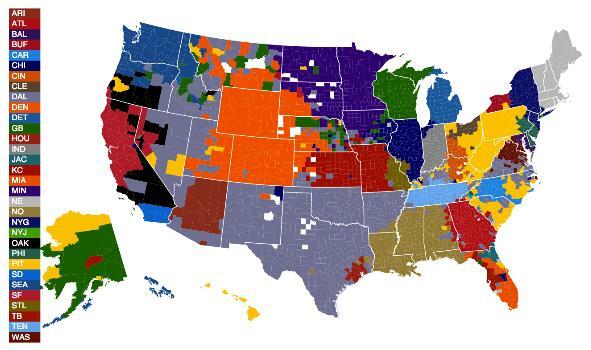 Sports fans might be a more complicated topic than it appears. The United Kingdom’s search for Jihadi John, the masked, British-accented fighter who appears in videos and beheadings of foreigners condemned to death by the Islamic State of Iraq and the Levant (ISIL), the jihadist group that controls a swath of Syria and Iraq, has highlighted the significance for militants of football as a recruitment and bonding tool. It has also put the spotlight on a small band of Portuguese nationals who have joined the jihadists in recent years. 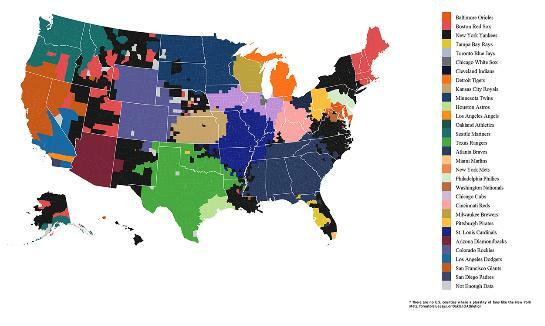 Rugby has one of the odder geographic distributions of any sport. Its core popularity is in Britain and Ireland, and in British – influenced South Africa, Australia and New Zealand. It has a second pole of popularity on the Pacific islands, so that small countries such as Fiji, Samoa and Tonga can field world-class teams. 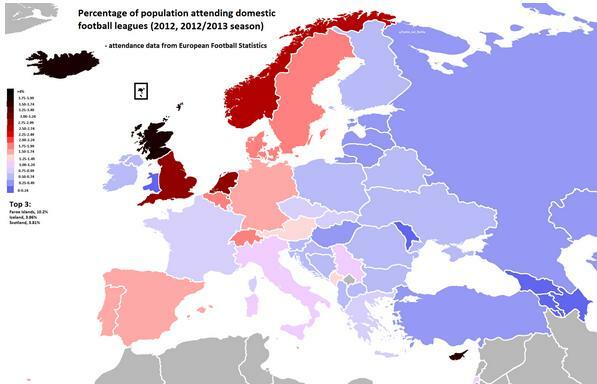 In continental Europe rugby’s popularity is mainly limited to France, Italy and Romania. Finally, there are a couple of odd outliers in Argentina and the Republic of Georgia. What about Latin America and football (soccer)? They take it kinda serious, if you’re feeling me. 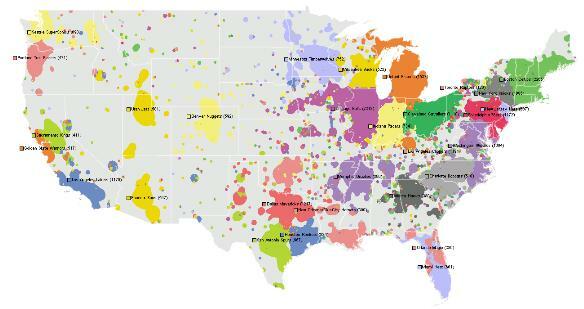 From the map, I gather soccer fandom is a Germanic thing, perhaps secondarily a Spanish thing. I’d love to see within-country breakdowns for Spain, France, and Italy. The map of Europe isn’t showing the Frankish Manoralism pattern, but the North Sea pattern that we are familiar with from family type maps (absolute nuclear). It satisfies the need to chose sides which has been with us since before we were humans. yeah. i didn’t find any data on fanbases in latin america. mind you, i only spent about 10 minutes googling the subject. (had already bored myelf with the topic by that point.) (~_^) maybe next year! the nuclear family patterns in nw europe — including the absolute nuclear family — is a direct consequence of manorialism (which just happened to start with the franks) and outbreeding in the region. but why sports? why not pinochle? Well, I was trying to put us in a better light. I should have completed it. Choose up sides and fight. Would 114.4 million US homes tune in for a pinochle game? But, pinochle is too sports, after all. As with anything win or lose? claiming a team as a fan… is very similar to believing in a religion. be part of the winning team – yeahhh! It is like clothing. Which is why sports sells so much clothing. One shows tribal identifications with sports fandom, and then you get to watch your tribe against others, with varying degrees of seriousness. What sport is primary to us tells something about us, we believe. What team we root for tells people the region we most identify with – almost always the place we grew up or the place we live now. 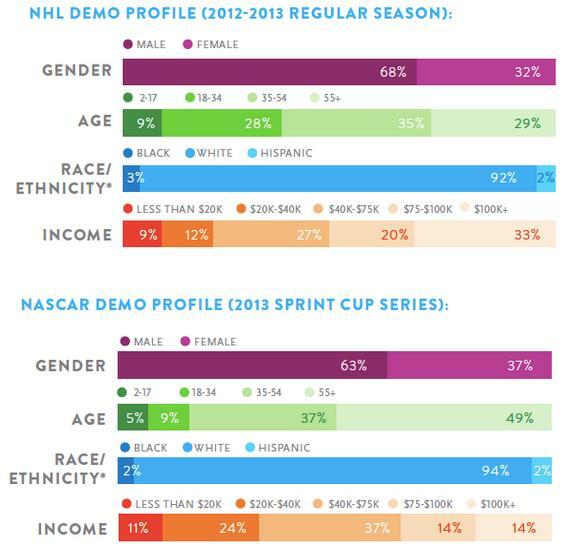 If I say I am a Boston Bruins fan from outside Rte 128, everyone in New England and many folks elsewhere immediately considers “white, male, fairly well-off and educated (possibly preppy), personality style successfully-controlled aggression.” If I am a NASCAR fan from Greenville, SC I have said something else. And then they KEEP SCORE. There’s no style points, which the Czech judge can mark you down on because he doesn’t want his country to get invaded. The issue is in doubt for days and weeks leading up to the event and people test their ability to see reality better than others with social interaction. Then reality happens and the grades come in. Lastly, the whole Hemingway grace under pressure thing comes in. Amidst violence and people trying to interfere with their lives, some people are blessed enough to be balletic. One pattern not captured by those fanbase maps is the class angle. In Northern California, being a fan of Oakland versus San Francisco is a class issue, much more than a geographic issue. Aside from residual loyalty in L.A., which doesn’t have a football team, the Oakland Raiders are the team of the “working class”, while the San Francisco 49ers are the team of the middle class. It’s not entirely a race thing – even though the black neighborhood near the Oakland Coliseum turns completely silver and black on game days, there are a lot of white Raiders fans out in the Central Valley – the team used to run fan trains out to Tracy and Stockton. 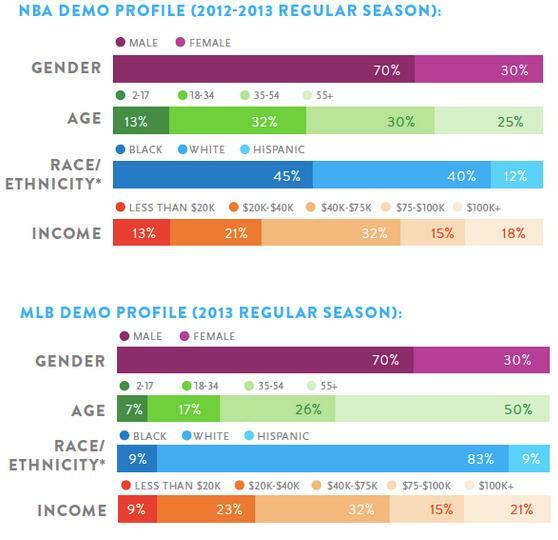 Also, with two teams in the same area (in two different sports), the team that’s doing better has more fans. I think some of the other commenters have covered the territory pretty well. It’s basically an ingroup-outgroup thing. In other words, the “root cause” of sports fandom can be found in our baggage of innate behavioral traits. Football has a greater fan base than pinochle because it is more effective in triggering ingroup identification. Powerful identification with an ingroup is naturally followed by intense loyalty, the desire for “us” to beat “them,” hatred and scorn for the outgroups, etc. I grew up in Wisconsin during the Vince Lombardi years. It was easy to identify with the Green Bay Packer ingroup. The Packers were champions. They usually won. Packer clothing and paraphernalia were ubiquitous. The Packers were part of the culture – many adults were Packer fans, and one learned the proper ingroup by example. The result was that I became a rabid Packer fan. I still am. I am completely indifferent to where the players come from, as long as they wear the uniform that identifies the team. Rational analysis of the reasons for my fandom will miss the point unless it takes into account the behavioral traits of the species I belong to. Those who don’t understand sports fandom generally simply identify themselves with different types of ingroups and outgroups. In other words, they really are “sports fans,” too. They just follow different sports. For example, they may belong to the liberal ingroup and hate conservatives, or vice versa. They may belong to the Catholic ingroup and hate Protestants, although that particular identification was more prevalent during the 30 years war. More recently, they may have been Communists, or Nazis, and hated the “bourgeoisie,” or Jews. The ingroup and the outgroup have ye always with you. Translation of these evolved traits into the modern world can have unfortunate results. For example, if you happen to be a Bears fan, you are a tragic victim of circumstance. If you are a Vikings fan, than you are a fundamentally evil human being. (Reuters) – At least 14 Egyptian soccer fans were killed in clashes on Sunday night when security forces barred them from entering a stadium to watch a match, a doctor at a hospital told Reuters. The doctor who spoke in condition of anonymity said his hospital in the east of Cairo received 14 dead and eight wounded.